Dr. Jordan decided to be an orthodontist when he was 17. He has now been helping people create beautiful smiles for 29 years. After dental school he was a general dentist for two years. This was a very valuable experience for learning all aspects of dentistry in greater depth. 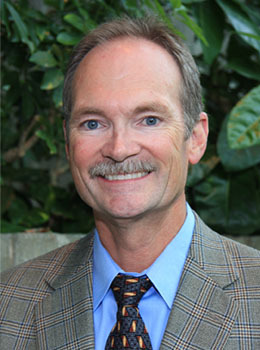 Dr. Jordan especially enjoys diagnosis and treatment planning as well as achieving great results. He feels that in-depth knowledge combined with experience and listening to the patient�s desires leads to better visualization of what is best for the patient. I believe in staying current with the latest technology and techniques in orthodontics as well as general dentistry. I attend many lectures and courses throughout the year in order to have the knowledge to provide my patients with more options and better results. I am currently a committee member of the Washington State Dental Association Pacific Northwest Dental Conference. Our committee plans and organizes the largest continuing dental education meeting in the state each year. As a young person Dr. Jordan always enjoyed working with his hands. By the time he was 20 he had built two motorcycles and restored a classic Chris Craft boat. Dentistry and orthodontics seemed like a great way to combine creativity, the ability to make things that are practical and beautiful as well as a way to help people. Dr. Jordan and his wife were both born in the Northwest and have been married 25 years. They have two daughters and one son. Dr. Jordan and his family enjoy hiking, boating, golfing and skiing. Find Dr. Jordan on Google+. My smile is the most important thing I put on each day. Dr. Jordan completed my ortho treatment almost 25 years ago and I couldn't be happier with the results to this day. People are always telling me I have a gorgeous smile, and that I am so lucky. I always tell them all the same thing.�I tell them that my Orthodontist, Dr Jordan, is to thank. Thank you so much for my wonderful smile. I get lots of compliments on it. I always say thank you, Dr Jordan, my Orthodontist did a great job! I highly recommend Dr Jordan and his entire super friendly staff to anyone, who may be old or new to the Tacoma area and actively looking for an excellent Orthodontist, and need an honest, true assessment/recommendation.